Humility: True Greatness is an excellent little book. Like most of C.J. Mahaney’s works, the language is uncomplicated and straightforward. He writes in short, broken down chapters that make reading and digesting very easy. He spends several chapters outlining what should be at the root of our humility – our wretched sinful nature and the work that Christ did on the cross to rescue us for His glory. Without constantly reminding ourselves that we need Christ, that anything and everything good that we see or have or do is a gift from Him, and that without him we are slaves to sin, we can have no humility. The bulk of the book is spent detailing practical ways to work humility into your life. Mahaney has some great advice on how to break down pride and build up humility from the moment you wake to the moment you fall asleep – literally. Mahaney breaks down simple, everyday activities into practical steps toward humility. If you’re looking for conviction & encouragement, this book is for you. 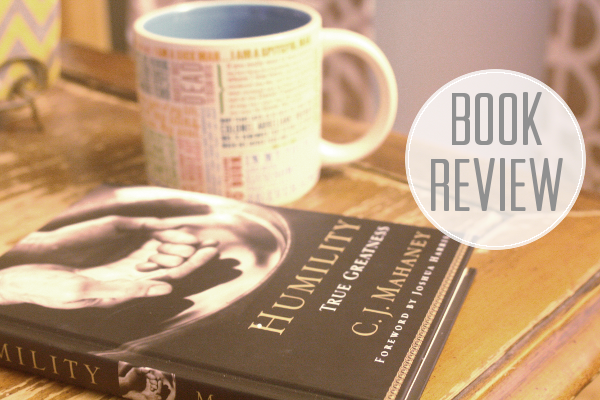 If you’re looking for ways to infuse a spirit of humility into your life, this book is for you. Stop focusing on yourself, and start living to humbly glorify God – the God who sent His Son to die for you – what a humbling truth!